When restoring a classic car there are some areas that are nearly impossible to get to. One of those areas is inside the rocker panels and frame rails. 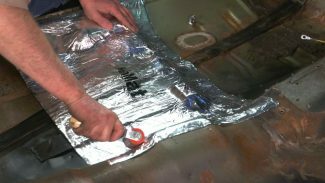 Let’s face it if your classic car still has it’s original rocker panel sheet metal, you want to do everything you can to keep it that way. 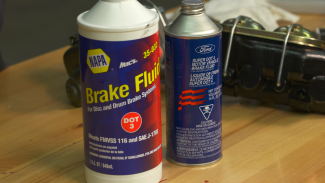 Choosing the correct classic car brake fluid for your classic car can be a little confusing. 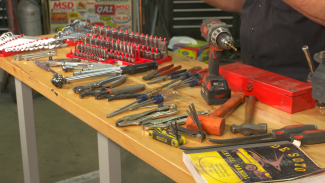 We’ll examine the most common types of DOT 3, 4 & 5 brake fluid, and discuss their properties and the what you should consider when selecting them for your ride. 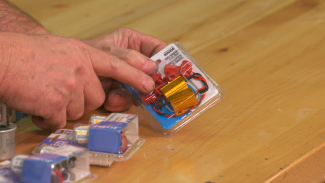 LED replacement bulbs have become commonplace in the classic car marketplace. Mark Simpson discusses some of the options available and the steps you’ll need to take for your system to operate properly. 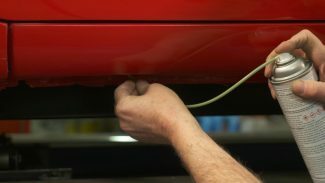 Straightening and repairing aluminum trim pieces can seem like a daunting task, although many of the same skills and processes you use to refinish car body panels are also used when straightening trim. 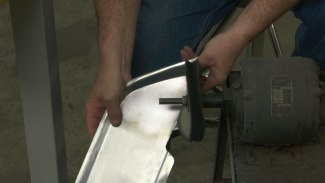 Mark Simpson demonstrates the process of removing dents and scratches and returning a luster to trim pieces by polishing aluminum.